Today at 12:00 (Pacific Daylight Time) Margaret Marietta Ramírez will be speaking about her new Antipode paper, The Elusive Inclusive: Black Food Geographies and Racialized Food Spaces, on Against the Grain, a radio and web media project (based at KPFA community powered radio) whose aim is to provide in-depth analysis and commentary on a variety of matters–political, economic, social and cultural–important to progressive and radical thinking and activism. Decolonizing Food Justice: Naming, Resisting, and Researching Colonizing Forces in the Movement by Katharine Bradley and Hank Herrera. 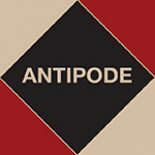 This entry was posted on 26 August 2015 by Antipode Editorial Office in News and tagged agriculture, black geographies, class, community economies, community organising, cooperatives, environmental justice, food geographies, food justice, food spaces, gender, local food, race, social justice, social movements.